More photos of Tiger Woods have emerged as he readies himself to speak on his troubles. Woods was all smiles yesterday as he practiced golf outside of his Windermere, Fla. home. Woods plans to make a statement this morning in a scheduled press conference. Several television networks have rearranged their programming and even I interupted FLASHBACK FRIDAY to feed into the drama. By late Thursday afternoon, seven satellite trucks had already parked outside the Sawgrass Marriott, where he is set to finally break his silence. The press conference will be broadcast LIVE at 11 a.m. ET. Tune in right here to watch the drama unfold and feel free to leave your comments. 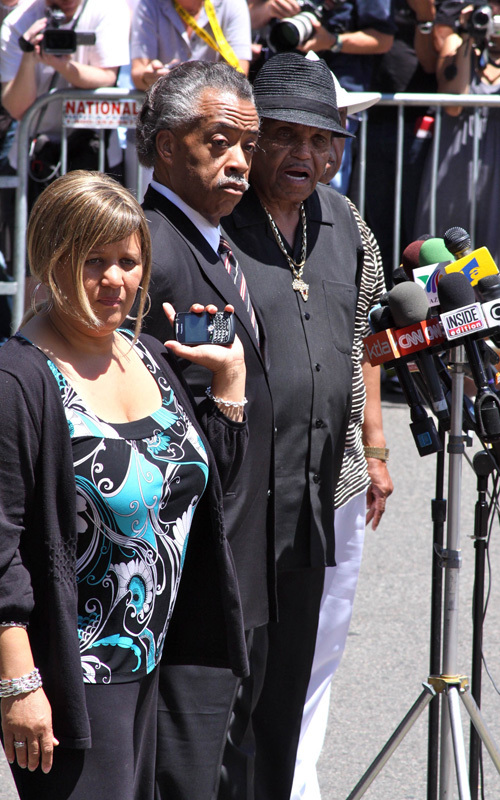 Reverend Al Sharpton and Joe Jackson got together today for an impromptu press conference. They tried to prepare Joe’s image by addressing last night’s Red Carpet debaucle, as well as revealed plans for a few memorial and tributes. I dunno bout you guys but anytime Sharpton is involved I get pretty nervous. Things are gonna get messy and we know it but does Al HAVE to attach himself so soon?